Of course it works. I have never had a problem with cables from PCH. Shipping is expensive, but it gets here quick and on time. 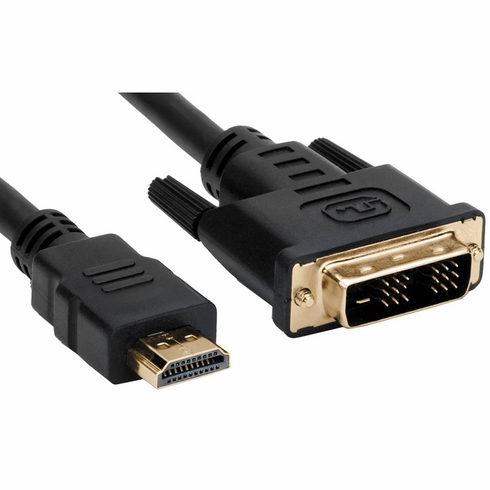 I purchased this to connect my Gateway SX2800-01 with built in HDMI port to my Acer X233H bd monitor. The X233H bd does not come with an HDMI port like its sibling the X233H bid. 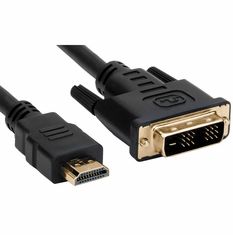 Since the monitor doesn't have built-in speakers I didn't need the audio capabilities of HDMI and since the video capabilities of HDMI and DVI are the same this cable works great for the conversion. I run the monitor at 1920x1080 with 32-bit color and the image quality is great. I'd heard about PCH before, and always kept them in mind when I've looked into buying new technology. Therefore, when I needed an HDMI to DVI cable, I was at Best Buy looking around. I noticed the six foot cable they were selling was priced at $59.99!!!! I figured I would look into PCH and see what they had for me. Imagine my surprise when I found a TEN-foot cable for 8 bucks. 8 BUCKS!!! It was a no brainer. Thanks, PCH! What more can I say. These are great cables at a great price. Bought this cable yesterday and it works perfectly fine! Used it to connect my computer to my LCD TV. Fast order, easy pick up, cheap price, quality cable without excesive packaging and pretty pictures. Bought this to connect my computer's secondary video output to my LCD TV. Your prices are great and you have everything I need, will keep buying from you! Great product to connect my PS3 to my TV. Awesome picture.